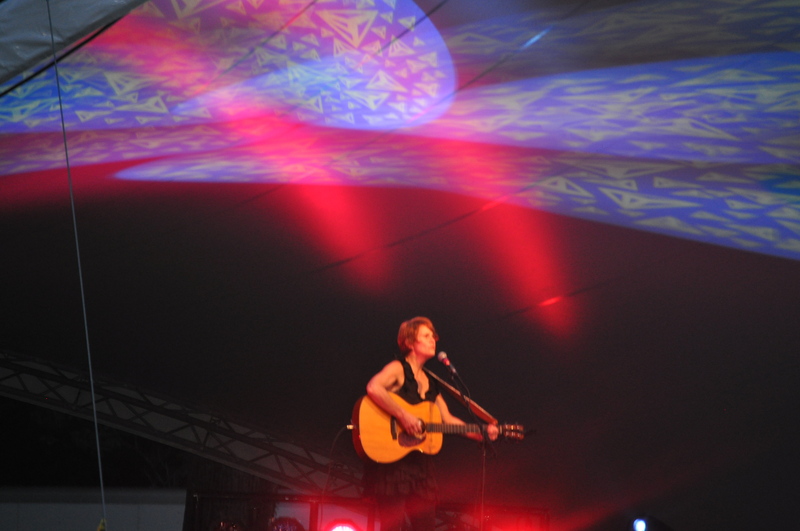 In Which MayBelle Snaps a Photograph of Shawn Colvin and Gets in Trouble – Amy Lyles Wilson, M.A., M.T.S. MayBelle is a rule follower from way back, and she tries not to cause trouble, especially in public. The other night she and Precious were at the Cheekwood Art Museum and Botanical Gardens in Nashville listening to Shawn Colvin in an outdoor concert. Sort of like Bonnaroo for middle-aged goobers. 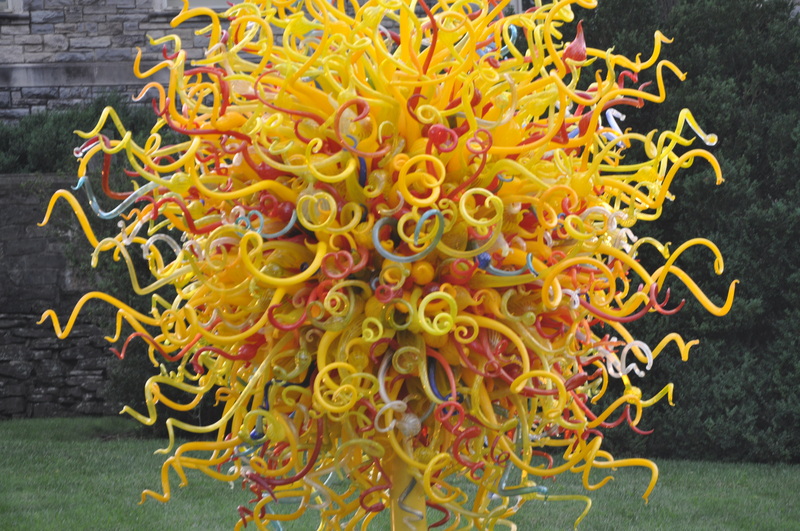 That would be enough, of course, but there was also a Chihuly exhibit, so it was a two-fer. Lots of people were taking photographs, so MayBelle, determined to become a shutterbug, hopped up and snapped a few from the sidelines. Soon after, when MayBelle had returned to their picnic spot and resumed her seat next to Precious, a security guard leapt out at her–leapt she tells you!–and berated her for taking photos, saying she should have known better because that rule was listed on the website. MayBelle had not looked at any website, as Precious, the dear, had surprised her with the tickets in honor of their eighth wedding anniversary. The man continued to invade MayBelle’s space and speak harshly to her, all while other concertgoers were taking countless photographs all over the lawn. MayBelle is proud of herself, though, for she did not tear up or let the man intimidate her. Not too much anyway. She apologized and stood her ground. But she’ll think twice about going to another outdoor concert at Cheekwood, which is too bad because her beloved John Hiatt is scheduled for September. Here are two photos MayBelle took before she was so unjustly harassed and made to feel like a criminal. Okay, that’s a tad melodramatic, MayBelle admits, but it was a sour ending to an otherwise lovely evening. :::holding up a lighter to your courage in the face of the photo police::: Nice photo, by the way.